Muslims also find Messiah! August 2017. Tensions surround Qatar and the Gulf States. August 2017. Islamic Jihad in Europe. June 2017. Pakistan seeks worldwide law against defaming Islam. May 2017. Islam in France. April 2017. Canada passes ‘Anti-Blasphemy’ Law. April 2017. Millions of Muslims all over the world are giving their lives to Jesus Christ, and in many instances this is happening because of dreams, visions and other supernatural encounters. While Christianity declines in most of the western world and many see judgment about to hit our churches, in other areas of the globe, Christianity is experiencing absolutely explosive growth even in the midst of persecution. This is particularly true in Islamic nations, where we are seeing things happen that could have come straight out of the Book of Acts. All over the planet, Jesus is personally visiting Muslims in supernatural ways, and this has resulted in an enormous wave of conversions. What has been happening in Iran is nothing short of miraculous. In one of the most radical Islamic nations on the entire planet, millions have come to faith in Christ over the past two decades, and dreams and visions are playing a major role. As Faithwire noted back in November, an Iranian Christian pastor claimed at the time that there’s a stunning revival underway in his country, where he says the number of Christian adherents has increased from 100,000 in 1994 to 3 million today. There is also a wonderful revival going on in Bangladesh. Officially, 89 percent of the population of Bangladesh is Muslim, about 10 percent are Hindus, and less than one percent is Christian. But unofficially it is being estimated that somewhere around 10 percent of the entire nation has now come to Christ, and they continue to convert in huge waves. Tensions are at an all time high between the four countries – Saudi Arabia, Bahrain, United Emirates and Egypt – and Qatar, supported by the large, powerful forces of Iran, Iraq, Turkey, Russia and Hezbollah. The four countries cut ties with Qatar last month over its support for terrorism and its alliance with regional foe Iran, charges Doha denies. They later delivered 13 demands to ending the crisis, including shutting the Al-Jazeera network, downgrading diplomatic ties with Iran and closing a Turkish military base. After the four countries this week extended a deadline for Qatar to respond to their demands, Qatar turned them down. The Qatari government sabotaged diplomatic efforts to solve the rift, the four states said on 7th July, and its refusal affirmed its continuing sabotage of the region’s stability and security. Any measures taken by the four states would be aimed at the Qatari government but not its people, they said, without elaborating on when the new steps would be announced or what they would be. In addition to cutting ties with Qatar, the four countries placed dozens of figures linked to Qatar on blacklists, including members of the country’s royal family and one of the spiritual leaders of the Muslim Brotherhood, Yusuf al-Qaradawi. The conflict is the latest sign of the bitter split between Saudi Arabia and Iran in their struggle for influence over the Middle East. This is rooted in 1400 year old split within Islam between Sunni and Shiite Muslims. It also relates to Donald Trump’s appeal to Saudi Arabia to take action against Islamist extremism in the region. It is somewhat ironic that Saudi Arabia is accusing Qatar of sponsoring terrorism and Islamic extremism, given their record of doing just that themselves. One of the objections to Qatar from its neighbours is the al Jazeera news station. This operates out of Qatar and has exposed corruption in Arab states, Egypt and Saudi Arabia in particular. The root of this latest conflict, as with all the tragic situations engulfing the region, goes back to the problems that stem from their Islamic faith, the real reason for the strife and confusion in all these countries. Europe has to an army aiming at its destruction, the army of Islamic jihad. In the four European countries most targeted by terror attacks — Britain, France, Belgium and Germany — the number of official extremists has reached 66,000. That sounds like a real army, on active duty. Intelligence officers have identified 23,000 Islamic extremists living in Britain as potential terrorists. The number reveals the real extent of the jihadist threat in the UK. The scale of the Islamist challenge facing the security services was disclosed after intense criticism that many opportunities to stop the Manchester suicide bomber had been overlooked. French authorities are monitoring 15,000 Islamists, according a database created in March 2015 and managed by France’s Counter-Terrorism Coordination Unit. Different surveys estimate up to 20,000 French radical Islamists. The number on Belgium’s anti-terror watch-list surged from 1,875 in 2010 to 18,884 in 2017. In Molenbeek, the well-known jihadist nest in the EU capital, Brussels, intelligence services are monitoring 6,168 Islamists. These Islamists are building a powerful infrastructure of terror inside Europe’s cities. These terror bases are self-segregated, multicultural enclaves in which extremist Muslims promote Islamic fundamentalism and implement Islamic law, Sharia. The extremist Muslims can get their weapons from the Balkans, where, thanks to Europe’s open borders, they can travel with ease. They can also get their money from abroad, thanks to countries such as Qatar and Saudi Arabia. These Islamists can self-finance through the mosques they run, as well as get ‘human resources,’ donated by unvetted mass migration coming through the Mediterranean. The terrorists’ ransom is already visible: they have destabilised the democratic process in many European countries and are drafting the terms of freedom of expression. They have been able to pressure Europe into moving the battle-front from the Middle East to Europe itself. Of all the French soldiers engaged in military operations, half are deployed inside France; in Italy, more than half of Italian soldiers are used in ‘Safe Streets,’ the operation keeping Italy’s cities safe. Europe’s leaders have shown themselves completely inadequate as to how to deal with this threat, often turning on those who oppose Islamisation and Islamist terrorism, accusing them of Islamophobia, rather than dealing effectively with the problem of radical Islam, which is threatening the future of European society. For years, Islamic nations have successfully pressed the United Nations to pass non-binding resolutions condemning ‘defamation of religion.’ In nations such as Pakistan, the penalty for ‘blasphemy’ against Islam or its prophet is death. Now Barnabas Aid is drawing attention to a plan to remove anything deemed offensive to Islam from the Internet and to find out who posted it and prosecute them. 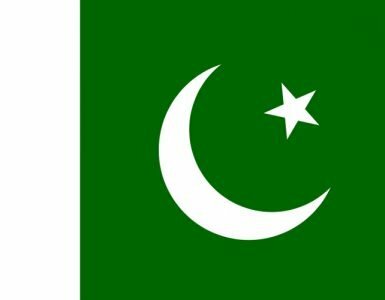 Barnabas Aid said ‘It’s alarming that Pakistan is seeking to introduce what is in effect a global Islamic blasphemy law that prohibits any Internet material critical of Islam.’ Pakistan aims to get other Islamic nations to pledge to prosecute anyone posting material to which Muslims object and to pressure Internet companies. ‘The implications of this for Christians are far reaching. Christians accused under Pakistan’s so-called ‘blasphemy laws’ face a mandatory death penalty if found guilty of offensive comments about Muhammad,’ Barnabas Aid said. ‘Blasphemy’ includes denying the claims of Islam or criticizing Islam’s prophet, Muhammad. ‘Merely affirming certain aspects of their own faith [for Christians] might be construed as blasphemy. It is all too likely that any criticism of Islamic theology, history or practice could also be taken by certain Muslims as not just offensive but also blasphemous,’ the ministry said. This could also include anyone who writes online about the persecution of Christians in the Islamic world. A worldwide strategy to extradite and punish ‘blasphemers’ could produce horrendous results, Barnabas Aid noted. ‘Of course, countries such as the UK or U.S.A. are very unlikely to allow one of their citizens to be extradited for something that is not a criminal offense in their own country. But if someone were to visit one of the other 26 Muslim-majority countries involved with this initiative, they could be arrested and accused of Islamic blasphemy for something they wrote in Australia, New Zealand, the UK or U.S.A. It is even conceivable that it could happen to someone who wrote about persecution of Christians on their church website and then visited one of those countries on holiday. Support for Marine le Pen’s Front National party in France’s coming election is being fuelled by the takeover of areas of French cities by Islam. Large swathes of Muslim neighbourhoods are now considered ‘no-go’ zones by French police. At last count, there are 751 Sensitive Urban Zones (Zones Urbaines Sensibles, ZUS), as they are euphemistically called. A complete list of the ZUS can be found on a French government website, complete with satellite maps and precise street demarcations. An estimated 5 million Muslims live in the ZUS, parts of France over which the French state has lost control. In Paris and other French cities with high Muslim populations, such as Lyons, Marseilles and Toulouse, thousands of Muslims are closing off streets and sidewalks (and by extension, are closing down local businesses and trapping non-Muslim residents in their homes and offices) to accommodate overflowing crowds for Friday prayers. Some mosques have also begun broadcasting sermons and chants of ‘Allahu Akbar’ via loudspeakers into the streets. The weekly spectacles have been denounced as an ‘occupation without tanks or soldiers,’ and have provoked anger and disbelief. But despite many public complaints, local authorities have declined to intervene because they are afraid of sparking riots. ‘France is no longer a Catholic country’, wrote Frederic Lenoir, editor-in-chief of Le Monde des Religions. The newspaper Le Figaro wondered if Islam can already be considered ‘France’s prime religion.’ Terra Nova a left wing think tank proposed that in order to integrate Muslims better, French authorities should replace the two Catholic holidays — Easter Monday and Pentecost — with Islamic holidays. A similar shocking idea came from another think tank, the Montaigne Institute, which provides ideas to another presidential candidate, Emmanuel Macron. In its report, written by Hakim El Karoui, the Montaigne Institute proposed the creation of a ‘Grand Imam of France‘, no less, as if Paris and Cairo would have the same historic roots. Macron recently apologised for French colonialism, feeding a defeatist sense of guilt that fuels Islamic extremists in their demands. France’s director-general of intelligence, Patrick Calvar, has been clear: ‘The confrontation is inevitable,’ he said. There are an estimated 15,000 Salafist preachers among France’s seven million Muslims, ‘whose radical-fundamentalist creed dominates many of the predominantly Muslim housing projects at the edges of cities such as Paris, Nice or Lyon. Their preachers call for a civil war, with all Muslims tasked to wipe out the infidels down the street’. Canada passed a motion on March 25th that will outlaw any type of criticism of Islam, in a move viewed by many as bringing the country one step closer to Sharia law. Despite the fact that an overwhelming majority of 71% of Canadians opposed the new measure, MPs in Canada’s Parliament passed the ‘M-103’ bill with a majority 201 to 91. The new law will see any citizen who criticises Islam arrested and charged with ‘Islamophobia’ – a crime that can potentially see offenders end up in prison. Criticism of Islam would constitute a speech crime in Canada. This motion uses the term ‘islamophobia’ without defining it, and without substantiating that there is in fact any such widespread problem in Canada. This will lead to ideologically-driven overreach and enforcement against alternative points of view—including mature, reasoned criticisms of Islam. Schools that teach the history of Islam’s violent conquests could be fined—or worse. Meanwhile, citizens bemoaning what they view as the increasing radicalisation of Muslim communities in Canada, due largely to the unfettered immigration policies of the government of Prime Minister Justin Trudeau, took to the streets of Toronto, Ottawa and other cities to denounce the bill. Islam and prophecy – News items from 2016.